AP and IB coursework/Dual Enrollment. Kalamazoo College considers AP, IB, and dual enrollment courses as evidence of rigor in your high school experience. The strength of your curriculum can have an impact on your chances for admission and the size of your merit-based scholarship. May satisfy major, minor, or concentration requirements at the discretion of departmental faculty. 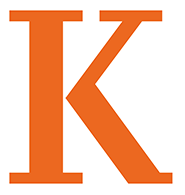 For a list of all AP and IB courses which Kalamazoo College accepts and the scores accepted as transferable credit, visit our AP Course Equivalencies page, as maintained by our Registrar Office. Coursework must have been taken at an accredited institution of higher education. Kalamazoo College considers students bringing dual enrollment credits as first-year students for the first academic year and requires them to follow all first-year student policies. All general transfer credit policies apply to dual enrollment credit.